At the start of the year the pollution in Vietnam’s capital, Hanoi, reached six times the World Health Organization’s guideline levels for air quality. Yet the levels, which appear higher than those of South Korea’s capital Seoul—where most people monitor the air pollution levels daily—is not treated with equal concern because of a lack of general awareness. This is despite the fact that air pollution has become the largest cause of premature deaths in Asia. “When I went to Vietnam, I realised no one thought there was an air pollution problem because no one was directly addressing it. It was worse than Seoul when we checked the level there. In Seoul, people talk about air pollution everyday. In the morning, you check the air quality to see if you need a mask or if the kids can play outside. 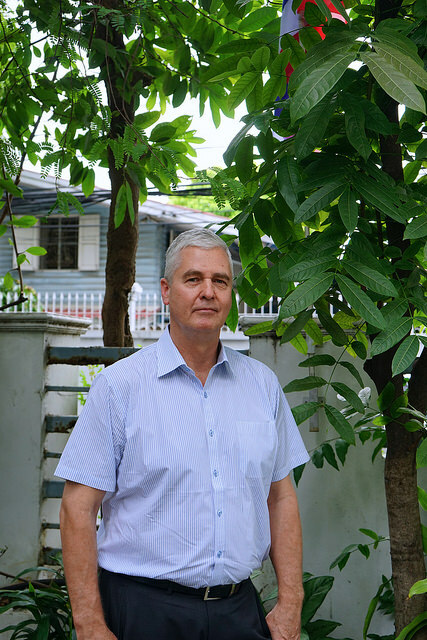 In Hanoi, the problem is just as bad but people just don’t know about it,” Global Green Growth Institute’s director-general Dr. Frank Rijsberman told IPS. 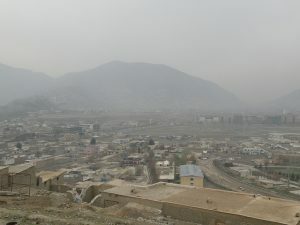 GGGI is one of the organisations working directly with governments in the region to tackle the growing concern of air pollution, as it has become the largest cause of premature death in many nations. The WHO estimated around 2.2 million of the global seven million premature deaths each year occur in low and middle-income countries, most of them in Southeast Asia and the Pacific. The study also found that the world’s megacities exceed the WHO’s guideline levels for air quality by more than five times. Inefficient energy use in households, industry, agriculture and transport sectors, and coal-fired power plants were the major sources attributed to outdoor air pollution, while the lack of access to clean cooking fuels and technologies contributed most to indoor pollution. The latter puts women and children as the biggest group at risk. As a result, two-thirds of Southeast Asian cities saw a five percent growth in air pollution between 2008 and 2013 according to a WHO report in 2016. However, the report noted that more governments were increasing their commitments to reduce air pollution. On his latest visit to Bangkok, Rijsberman spoke to IPS about the efforts governments in the region are making to mitigate the risks from air pollution, and key areas the region needed to focus on before the effects of pollution become irreversible. Q: You were in Singapore for the World Cities Summit prior to your Bangkok visit. Can you share some of the key insights and trends discussed on the panel? There was a lot of focus on smart cities at the social innovation panel I was part of. I am very excited about electric mobility from the environmental perspective but also because it is a more sustainable, affordable and healthier form of public transportation. For example, three-wheelers are the most important form of public transport in Vientiane, Laos, but it is also the biggest source of air pollution. So we are working on a project to replace these three-wheelers with electric ones. Most of the things I talked about was a shift in perspective to focus on basic public services that need to be more sustainable, inclusive and help to improve the quality of life for the citizens. Q: Where do you see the impact most visible now that Asia has become a key battleground in the fight against air pollution? The issue is surprisingly alarming everywhere. The most immediately visible [impact can be seen] in places like Ulaanbaatar, Mongolia where you cannot even see the other side of the street during winter. The government had to declare a national emergency last year and we worked on a whole series of projects to help reduce that, mostly focusing on indoor air pollution. A lot of the locals still heat their tents with coal and that means that the children have incredible levels of pneumonia, asthma and bronchitis. Air pollution is actually the second-largest cause of premature deaths for children in Mongolia. But there is also cause for alarm in countries where it is not as clearly visible and people are not so aware of the problem. Q: What are some of these places that are still falling behind in pollution awareness? Air pollution is virtually everywhere in Asia in the big cities because of transport, coal-fired power plants and industry. Even in less-developed rural areas where you don’t expect the level to be as high. Eighty percent of people in Cambodia are still cooking food on an open fire and using coal for heating and as a result, indoor air pollution is a huge problem for them. Pollution is the largest cause of premature death now, even more than smoking. It is something that worries us a lot and plays a large part in green growth. Q: Who do you see as leaders within the region on these issues? There are quite a few leaders now in renewable energy for electricity production. India, however, is moving fast in positioning itself in the renewable energy industry. The prices have drastically decreased because of large-scale subsidy options where the Indian government says for the next 100 megawatts you can build a power plant or if you want you can offer us the cheapest form of energy. For those options, the prices have come down comparatively to coal, which used to be assumed as the cheapest option. As a result, a lot of the companies abandon their plans to build coal-fired power plants, which is a huge change. Southeast Asia appears to have small success but by and large, it is still waiting to take off. However, it can grow very rapidly once it has a breakthrough. In Vietnam late last year, they introduced some good policies for net metering, feed-in-tariff and power purchase agreement. There is a lot of interest but the breakthrough is likely to come in the next one or two years. Q: What are some challenges facing this breakthrough? Southeast Asia is variable. In Cambodia, the government is interested in renewable energy but the ministry of environment also just recently signed a contract for a coal-fired power plant. I think we just need to ensure that the stakeholders can see these investments as financially viable on top of the immediate environmental consequences. We are working on that in quite a few places. Q: Lastly, what do you think are some areas that have been overlooked in the region? Only 20 percent of the total global energy use goes to electricity and power production. The other two large parts are mobility/transport and buildings. In Asia, energy efficiency in building materials or cooling and heating structures are hugely important. The technology tends to be there but there is remarkably little interest. In Mongolia, we are working to prepare a project to improve these existing Soviet-style housing where people control the temperature by opening windows. Everything is over heated and it is the worst way to manage energy. We are proposing to them to retrofit these buildings by insulating them and improving the temperature control. The project will be successful to us if by the end of the year we can mobilise the finance to retrofit the 15,000 apartments with better insulation and e-meters. Energy efficiency in general whether it is for air conditioning or building is a huge topic, which has not received enough attention. It is as good as adding new energy if you can improve energy efficiency. It is something we think can be shared more within the region. The post Q&A: Air Pollution Remains Cause for Alarm in Asia appeared first on Inter Press Service. IPS correspondent Sinsiri Tiwutanond spoke to Global Green Growth Institute’s director-general Dr. Frank Rijsbermanon about Asia’s fight against air pollution.